Possible sticker show in NYC! One of my favorite books on D-I-Y is Notes from Underground: Zines and the Politics of Alternative Culture by Stephen Duncombe. 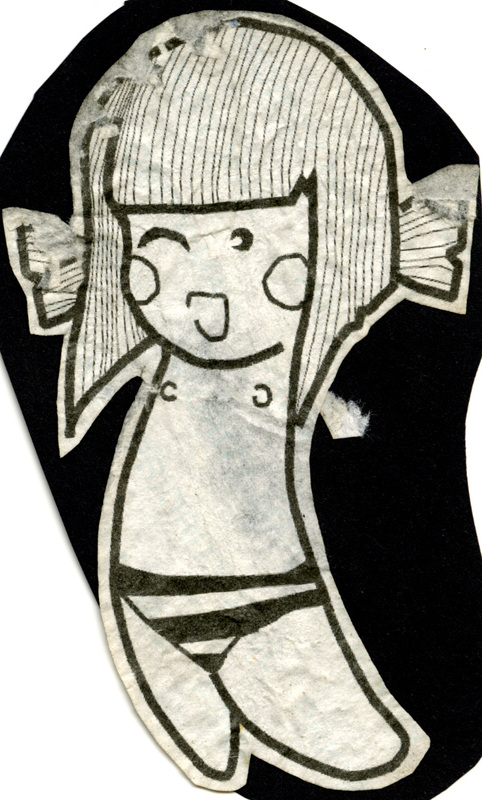 Most everything that the author describes about zines pertains directly to stickers, too, in my opinion. Primarily, both zines and stickers offer an alternative to commercial culture and consumer capitalism (how apt that I’m writing today on Black Friday, ugh….). I’ll write more about zines and stickers in a later post. U.S. 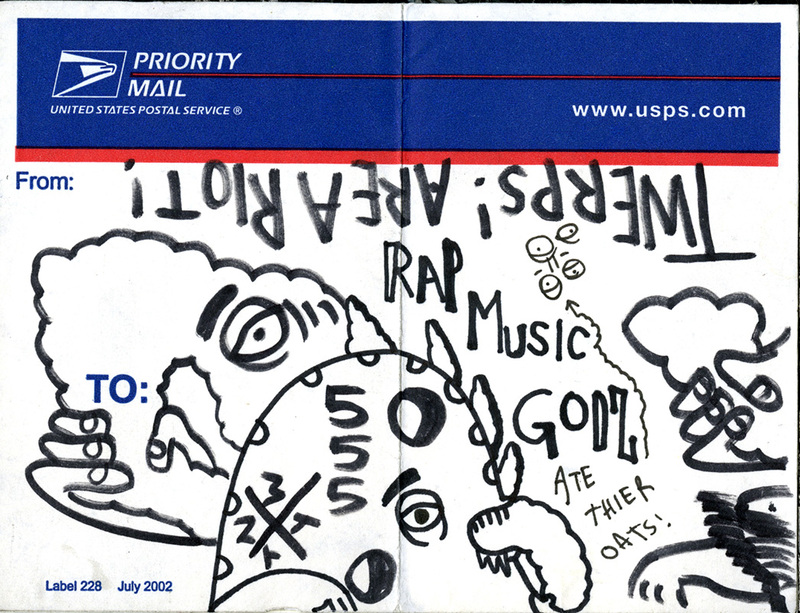 Postal stickers – I have about 75 that are hand-drawn, hand-painted, silkscreened, and a few Xeroxed. From the strange to the wonderful! I also have a bunch from Germany, too, which I’ll go through later. Some German ones are done by well-known taggers such as Tower, Nest, and Ed Crew. Animals and insects (35+): taggers – birds, cats, rabbits, lions, fox, mouse, zebra, panda, wolf, penguin, bugs, roaches, and bees. Skull and crossbones (36+): taggers and advertising – tattoo salons, bands, hair salons, punks. Portraits – hand-drawn and vinyl (50+) – mostly unknown faces – taggers; humanoid animal/human figures. These are some of the most creative stickers, I think. Really individual styles. More well-known street/sticker artists (30+): Faile, Matt Siren, Gary Baseman, Serkos, 20 mg, Skarekroe, London Police, Evoker, Bäst, Toaster, Bishop 203.